Many moons ago — okay, just a few years ago — when Johnny and I started down the path to debt freedom, we looked to Dave Ramsey as our financial guru. Whatever he (or rather, his book) said was gold. At first we followed it to a T. And then as time wore on and we became more financially independent, our philosophy toward saving became more independent, too. And at some point, we added another financial guru to our mix: Suze Orman. We thought everything she said was gold, too. But there was one little problem — Dave and Suze didn’t always have the same opinion on certain financial topics. Sacrilege! If we followed one completely, it felt like we were cheating on the other. We realized that we like some of Dave’s philosophies and others of Suze’s. Dave is all about the psychology of money, and Suze is all about the practicality of money. And so we were faced with a dilemma. 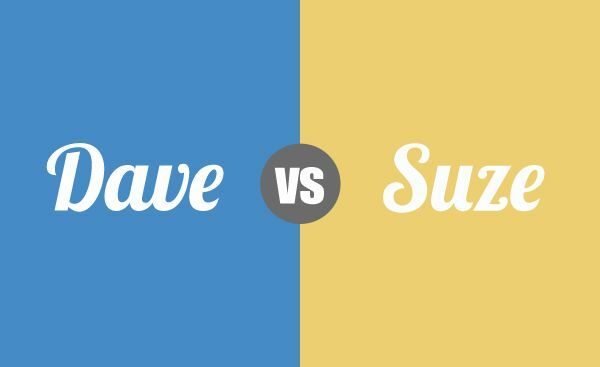 Should we be a Dave or should we be a Suze? But we couldn’t choose between them. And so we decided to be Duze and disappoint both of them. Here are some areas where Dave and Suze disagree, and where we stand. Dave: Dave is all about joint checking if you’re married. Otherwise, you’re off the hook. In his view, one of the best ways to have open communication on finances in a marriage is by sharing one account. It’s much harder to hide irresponsible spending when all of your money is shared. Suze: Suze leaves the decision up to you. She is neither for nor against joint checking. The truth is that some people get married with major financial baggage, and she’s all about protecting your own financial hide in such situations. She argues that if you’ve been responsible with your money, but your S.O. hasn’t, you shouldn’t be adversely affected. Our Take: We are big fans of joint checking. Whatever we buy something when we’re not together is public knowledge. And by public, I mean between just the two of us. Knowing that Johnny can see how we spend our money is sometimes the only thing keeping me from going hog wild buying baby girl clothes and pillows. However, we got married young before either of us had a chance to incur much financial baggage, so we can see Suze’s side, too. But if possible, we think joint checking is preetty neat. Dave: Dave recommends putting $1,000 in an emergency fund and then paying down all of your debt. He then recommends saving 3-6 months of expenses in an emergency fund. Suze: Suze recommends saving 8-12 months of your expenses in an emergency fund before paying down any debt. In other words, emergency fund first, debt later. Our Take: We side with Dave on this one. When we started our debt payoff, we put $1,000 in an emergency fund, paid down our debt, and then saved up six months of expenses in an emergency fund. Dave: Dave recommends using the debt snowball method to pay off debt. The idea is that you pay off your smallest debt first and then put that money toward paying off your next smallest debt. And so on. It’s all about winning little victories along your path to debt payoff so you stay motivated. Suze: Suze, on the other hand, recommends paying the loan with the highest interest rate first. She’s all for paying down that debt and losing the least amount in interest along the way. Our Take: We’ve followed Dave on this, too. We used the debt snowball method to pay off $20,000 in debt in less than two years. That said, all of our debt was in the form of school loans, and the interest rates were low. If we had debt with higher interest rates, we might have sided with Suze. Dave: Dave is anti-credit cards. He hates what everything the credit card industry represents. And he teaches that credit isn’t really necessary. He also argues that you can get a loan for a home by showing you are responsible in other ways than your credit history. He is all about cash and the envelope system. Suze Orman: Suze doesn’t have a problem with using credit cards, as long as it is done responsibly. And she’s all about having good credit. Our Take: Sorry (not sorry), Dave, we side with Suze wholeheartedly on this one. We use credit cards for almost all of our spending so we can rack up airline miles and other rewards. But we also pay off our balances in full every month. If either Johnny or I had a history of credit card debt or a tendency toward irresponsible credit card spending, we’d probably choose to hum to Dave’s tune on this one. If we could all find the LeVar deep inside ourselves, there’d be no debt, no hunger, no illiteracy. But until then, we’ll all have to settle for the Dave, Suze, and Brians. I love this. We are a compilation as well. Our only debt (other than mortgage) was student loans. 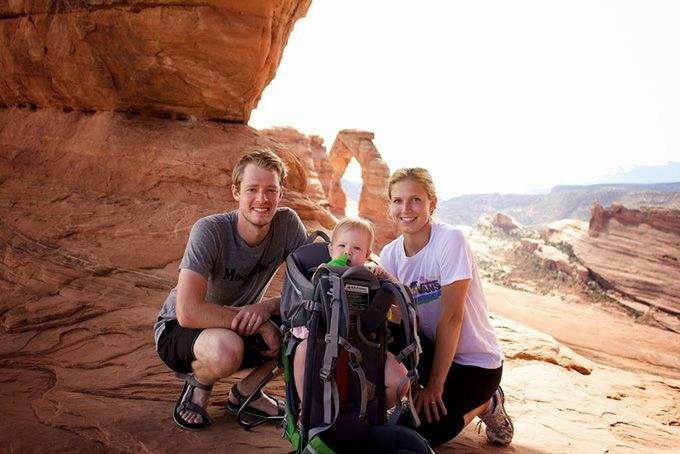 Our perspective on the emergency fund was shaped by our circumstances when we started our debt free journey–we already had a home & we were a one income family while I was home with tiny people. We didn’t feel comfortable with just $1000. Any homeowner could tell you that was a recipe for disaster! And we were obviously more vulnerable with only one job to lose. Also, if it was just a short period of time that we’d be aggressively paying down debt, I think perhaps we would have gone with $1000…but we’re talking two undergraduate and two masters degree educations! That takes a few years on one income, even aggressively paying down debt. We also used/use credit cards, but like cash. It’s already in the budget if we’re buying something, and it’s paid off every month. We did not acquire our debt by credit cards, so it never felt like we “got” ourselves in the situation by using credit. Plus…cash back/rewards can be awesome! I think the key is knowing yourselves and your personal situation. That’s a great point about emergency fund amounts being shaped by one’s current circumstances. At the time, we were young, reckless renters who didn’t have much to our name. So $1000 seemed fine. But with a mortgage, single income, and kids, I totally understand why you felt a little uneasy about putting away a sum of money that would barely cover a home maintenance repair, let alone a job loss, medical emergency, etc. Great points. Thanks for your insights. I’ve never read anything from either of them, but if I compare your points, I’m more of a Suze. Even though I’ve never read Dave, I know about his debt snowball, and it’s just completely illogical to me. Pay your debt with highest interest rate first, people!!! It seems like Dave makes a lot of “rules” based on assumptions (e.g. you can’t be responsible with a credit card) rather than reality. I personally always pay off my credit cards at the end of the month…and then take free flights with my frequent flier miles. The reason that Dave recommends paying off the smallest BALANCE first, is to gain a small financial victory, and continue to feel motivated to keep going. To loosely quote Dave, “Money is about behavior, not math. If you could do math, you wouldn’t be in debt in the first place.” Dave doesn’t make rules based on assumptions, he makes them based on research and experience. The research shows that people spend more money when they are using plastic as opposed to cash and that the majority of people do not pay their balances in full each month. To fully understand why Dave recommends his debt snowball method, you’d have to actually read what he writes. It may not seem logical from an outside perspective, but it’s actually more logical to make a choice that will truly change your behavior and improve your life (no matter how much you lose on interest charges), than to just follow a simple math formula without addressing the real issue (behavior and attitudes about money). Millions of people have done things the “Dave Way” and have experienced huge success with his method (myself included). Wouldn’t it be better for people to pay off hundreds of thousands of dollars worth of debt, even if they lose some on interest, than to stay in debt up to their eyeballs for decades so they can avoid paying slightly more to a bank? Dave was just what we needed when we needed to hear it. I echo a lot of what Miranda says. And after we got out of debt, I felt like we sorta graduated from Dave’s methods. Since our debt was student loan based and not from credit card use, we never heeded that advice. But we are certainly not like many of Dave’s followers. It’s also worth remembering that most people who pick up a Dave Ramsey book are learning about personal finance for the very first time. When you realize the context, it makes sense why Dave “babies” people along in their journey. Dave Ramsey bases his advice on research. Most people don’t pay off credit cards each month and most people will give up on paying down debts if it takes too long, no matter how much it makes financial sense. In 2013 more than 70% of Americans did not pay off the credit card bills every month – most credit card holders carry a balance and try to pay it off over time. One study was done to disprove Dave Ramsey’s snowball method. However, it actually did the opposite. It showed that even though paying off the higher interest rates first saves money over time and the people in the study knew it, people in the study were actually more driven by their emotions and they stuck with the plan that allowed them to feel success. Even if Suze’s advice was perfect, if people don’t stick to it, it does them no good. And don’t forget, Dave doesn’t say to ignore the higher interest rates forever. He basically says, small things first – you’ll get to the higher interest rates soon. Great insights and references Those studies are really fascinating. I’ve always liked Dave’s philosophy that if we always made decisions based on what made sense mathematically, none of us would be in debt, duh! I am definitely a mix of the two. I agree with Suze on credit cards; with Dave on joint checking and debt snowball and am undecided on the emergency fund. Yep. We’re on the same page. We’re looking at a more hybrid approach to our emergency fund now, too, and looking at keeping four months in liquid savings and another four in a Roth IRA. I think I’m siding with you guys on all these issues. The only one I don’t currently follow is the joint checking account, since I am not married. But I plan on having a joint checking account once I get there. Well guys, I’ve read both good and not so good financial critiques about both Dave and Suze over the years, some of their views I agree with while others I don’t. Looking at your examples, I have to agree 100% with YOU guys in your views. Look, financial stuff is a personal thing. What works best for folks, whether single or married, based on their personalities, is what counts leading to successful results. Often there is really no one correct approach to this stuff. Amen. In fact, financial advice and the sources from which it comes should be followed much the same way the golden rule of investing is preached: diversify! Listen to everyone, and then make a choice based on your current situation and your own comfort zone. I’m a combination of Dave and Suze. I’m currently single, but my parents have had a joint chequing account since they were married. I think it depends on how financially responsible (or not) your partner is. While I think a 1K Emergency fund is a good start, I’m more comfortable with 6-9 months of funds tucked away. Perhaps because I’m single and don’t have a partner’s income to depend on. I’ve only had a car payment more than a decade ago where it was actually a line of credit with my invested education money as a guarantee. Yes, there was a minimum payment, but I could make extra payments and pay it off early with no penalty. Even better? The interest rate was a fraction of what the dealership was offering. I hate debt of any kind, even when the interest rate is low. I guess I’m a Dave in this area. I love the convenience of credit cards, and have never paid a penny in interest. I track my spending closely, stay on a budget, and make the cards work for me – cash back, free movie theatre tickets, etc. If you can do that, great. If not? Cut them up. Now. I wish my sister had cut her cards up, instead of sitting in debt for more than 5 years. Ugh. Great points on the joint checking and emergency fund. It’s all about your own personal situation. Credit card debt is a foreign concept to us, but it’s wildly apparent that for a large percentage of credit card holders, it’s a significant temptation and burden. And for that reason, all of these decisions need to be figured out based on each individual’s situation and circumstance. I’m a Kase (or a Kaze?). My husband and I have both joint and separate accounts. 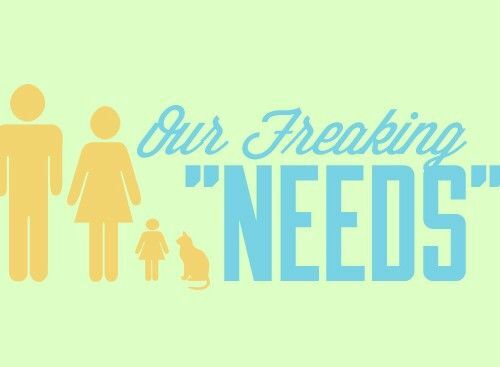 Our emergency fund has been at $370 for some months…I can’t justify growing that over paying debt. I do more of a debt freestyle…pay off credit cards that annoy me the most, then focus on private student loans with a co-signer, after that, who knows how I’ll feel. I use credit cards, but my husband still doesn’t use them the right way (can’t pay it off every month), yet. Haha. I love it. You define the “personal” of “personal finance.” It’s great to see a system that strays well off the beaten path, but works because it fits your needs. Typically, I don’t pay any attention to the financial “gurus” who really exist just to hock you a product. That being said if I go by these points, I lean more Suze.. especially when it comes to paying off debt with the highest interest rate first and on responsibly using credit cards. I’ve always felt a sense of authenticity and genuine concern with Dave Ramsey and Suze Orman. At the end of the day, they do have products that they hock, and they’re driven by their own almighty dollar, BUT they seem like some of the more honest financial talking heads out there. I’m mostly a Suze , probably because I read her book first “Young Fabulous and Broke” and really liked her. Then when I tried to read Dave I honestly couldn’t even get through the first few chapters because I found him SO condescending. I used a version of the Debt Snowball method, but I paid off the highest interest debt first and then kept rolling those payments into the next ones once I paid off one debt. That’s interesting. And honestly, I think if I read their book in that order, I’d feel similarly. At the time while we were reading Dave, we were already pretty humbled and low on financial self-esteem, so it didn’t affect us. It was great then, but I’d probably think differently if I reread it now. Other than the credit part, I’m with Dave. I like the fact that he emphasizes communications between spouses and tithing. He can seem a little too strong, but I like that he stands by his belief and whether you’re Suze or Dave’s fan, if you’re deliberate in how you use your money and be smart, you should be ok. Certainly. You can’t (or at least shouldn’t) put all of your trust in either of them — or anyone or anything for that matter. That’s up to each individual or couple. But we did like Dave’s approach to big picture topics like couple’s money and tithing, as well. I’m Team Suzy, except for the lack of emergency fund. I’d never combine finances with anyone, but that’s a personal decision. Of all those topics, joint banking is definitely the most personal decision. And for some couples it works great. Lucky for Joanna and I, we’ve been really happy with keeping things combined. I think Dave is really helpful for most people- I read somewhere recently, can’t remember where, that if you just look at his first few baby steps, it is a handy test of whether or not you need Dave. Do you have less than $1000 in savings and lots of high interest consumer debt? Then you probably do make all of your financial decisions emotionally and you probably can’t be trusted with a credit card. Follow Dave all of the way! But I also think that financial gurus are sort of like diets. It doesn’t really matter which one you pick as long as you stick to it. We have always had a joint bank account because we are lazy. I can’t imagine having to keep up with two bank accounts. But I can see now, in our 13th year of marriage, how this decision has been really helpful in our relationship, in keeping us accountable to each other, and forcing us to communicate about money. Maybe other people can do that in other ways, whatever works. I think that the point is that when two people get married, there is no such thing as his problems and her problems, only OUR problems. So if your spouse is lousy with money, that is your problem too and you need to fix it together. If you have a more temporary view of marriage, you might feel differently about this. You echo our sentiments on the joint banking in marriage. Despite Joanna bringing debt into our marriage, I never viewed it as her debt — it was our debt. It immediately gave us a tough hurdle to tackle together. We’ve never looked back since. That’s also a great point about Dave’s baby steps. A lot can be gleaned of Dave’s value to someone by simply asking oneself whether or not that’s something you currently do. Very interesting. I guess I land somewhere in the middle. I never had huge amounts of debt, but I had my student loans paid off by the time I was 25. It always had at least a few months of living expenses in savings though… that’s just been a given for me. I’m totally with you on the credit cards too. 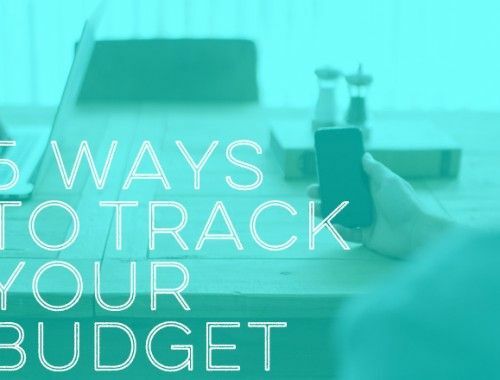 I use mine for everything – it’s sooo much easier to track expenses that way, and I have them set to automatically pay the full balance each month. In terms of the joint checking account… well… I have to say that while I agree that it makes couples accountable to each other, It was also sorta what put the nail in the coffin for my Ex and I. We had a system where we had both joint and separate accounts. The joint account was for shared expenses, and each month we each paid a pre-determined percentage of our paychecks into the joint account to cover things like rent, utilities, food, etc. This was my idea, not his. His idea was “share and share alike” (which meant that he got to spend whatever he wanted, whenever he wanted, and I got to pick up the slack) Anyhow, stupid me… I let him rack up thousands of dollars on my credit cards (he conveniently didn’t have any credit cards). But the end finally came the day that he spent the grocery money on beer. His argument was “beer is food”. Anyhow, I guess the moral of the story is that couples really need to be on the same page financially or else one of them is gonna end up feeling taken advantage of. A joint checking account just makes the situation more obvious and harder to avoid – which is probably a good thing. But I’ve gotta say, the whole situation left a very sour taste in my mouth. Great point on tracking with credit cards. I love having an electronic paper trail to keep tabs on things for me. Thanks for sharing your own experience with joint banking. It’s a really personal and sensitive decision, one I would never feel comfortable giving advice on. Joanna and I knew from the get-go that we needed to be on the same page with each other’s expenses if we expected to pay off our debt. But like you said, I think the joint/separate banking isn’t the issue. It’s seeing eye-to-eye on financial goals. And if that’s established, separate/joint/communal hippy-circle banking are just a logistical decision. I always speak kindly of Dave for getting me started on a more financially stable path but I feel at some point there is a natural graduation from mainstream financial experts. These guys provide a “you can’t screw this up” blueprint for the masses trying to figure it all out. They are not so helpful when life gets more complicated financially or when you are fine tuning a strategy or if you are trying to buck the cultural trend of working until you’re 65. There are tons of other great resources and role models with awesome tutorials around the blogosphere for those that have graduated from Dave and Suze. 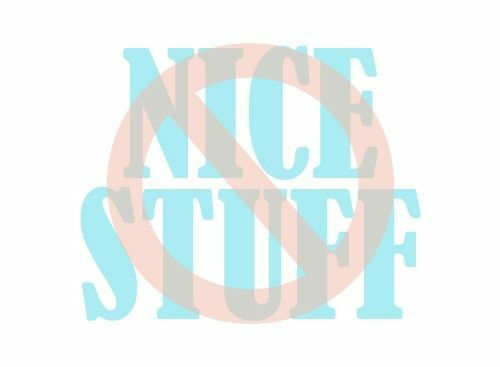 Mr. Money Mustache is likely the biggest name, but there are others like Mad FIentist, jlcollinsnh, simple economist, and others that are really sharing some awesome stuff. Agree 100% on the natural graduation. They paint with the broadest brush possible to help as many people as possible. And after you’ve heard all of it once, you’ve pretty much heard it all. We love the PF blogosphere. We read MMM (cool, but a little extreme for us — biking in snow ain’t our thing :)) and simple economist, but I haven’t had a chance to check out the others. Thanks for sharing them. Hey, I’m a Duze! We’re with you guys 100% match! Joint accounts – we had separate legacy bank accounts after we got married, and it made it a royal pain for budgeting – having to import 4-5 bank statements instead of two into my accounting system. No wife should have to put up with that! Also, I found moving to a combined bank account made us feel less “your money/my money” and more “our money!”. When my husband bought a ridiculously expensive car on credit, when we were on separate accounts, I shrugged and thought – “Hey it’s his money, do what he likes with it”. Now it’s “Hey! We can save up a ton of money instead and retire a few years earlier”, which we are both on board about. We sold the car and combined the accounts (And moved to New Zealand, woooo!). Credit cards – scary, gotta keep an eye on that balance, but we pay it off every month. As an aside, I love Dave’s podcast/radio show! Man, that guy makes me laugh every time with his hilarious comments towards callers that are really in up to their necks in debt and are asking stupid questions. “Our money” is the best thing that ever happened to our money. Such an important psychological breakthrough for us. And congrats on New Zealand! So so so awesome. I’m more of Suze about credit cards and joint checking but stop there. I watch her sho but she advocates 8-12 months emergency fund which I think is excessive. In regards to investing she’s more of a wait until it get better investor which is more like following the herd mentality. 8-12 months does seem excessive, especially if you’re not a homeowner and you’ve got your basic insurances covered. I’m generally a “split the difference” kind of person, and that trait definitely holds up here, especially on the emergency fund point. While 8-12 months of living expenses does seem a bit excessive, there is no way that $1,000 is really enough. In the past month both my husband’s and my cars have needed mostly unexpected repairs to the tune of $2500 and I’ve had to go to the doctor 3 times for the same darn ear infection which is going to be at least $500 when the final bills come in. If we had been following the Dave method we’d be in some serious trouble right about now. Thankfully we’d been working towards around 3-4 months of living expenses, so these costs are annoying rather than devastating. Glad to hear that your emergency fund has helped you weather the rough patch of bad luck. While in the post we say we “agree” with Dave, what it really should say is that we heeded his advice… for the first few months. But we really didn’t feel too safe with that small cushion, so we ended up saving a couple thousand more, put our debt repayment on hold temporarily while we moved to NYC and built up some more cushion, and then kept it there until we paid off all of our debt a year-and-a-half later. So we definitely see eye-to-eye with you here. To some people $1000 is a lot of money. I think Dave should keep that amount as his recommendation. In fact, if you’re low income, Dave recommends $500 as your emergency fund. If he recommended people save $2000-3000, a lot of people would shut the book and walk away. I come from a very poor family where accumulating $1000 is difficult. People have learned to be resourceful. My brother’s car broke down recently, and he saved up $150 to get it fixed, but didn’t have the other $150. He borrowed my sister’s truck for a while and, at other times, caught rides with friends. I gifted him the rest (he didn’t even ask for it). Sometimes when we get a little money in the bank, we lose our creativity and resourcefulness. I’m including myself. Also, several people mentioned making repairs on older cars or knowing ahead of time that they would have to move. If you have an older car or you know you’re going to be moving, it’s not an emergency. Dave (and probably Suze) would recommend that you put that in your budget and save up for it – not use your emergency fund. Again, great point. I think Dave probably has the right figure for his audience. And you’re right that it would probably scare a lot of people away if he advocated for a higher figure. Our “emergency fund” was more or less what you described — a budget. At the time, we didn’t distinguish savings/slush fund from emergency fund because it was everything we had.